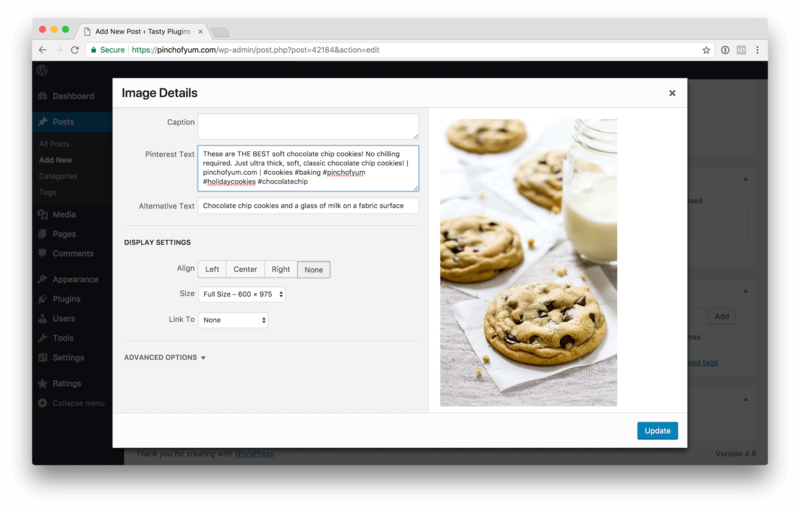 "Tasty Pins helps me fully optimize my image descriptions efficiently, and I've been able to take advantage of Pinterest hashtags easier than ever. The Pinterest-only image option takes a huge hassle out of my publishing workflow, too. I'm so thrilled to have this plugin!"